Still, he persisted, I guess. Texas Attorney General Ken Paxton’s lawyers are not giving up in their bid to get a new judge in his securities fraud case. Earlier this month, Judge George Gallagher ordered Paxton’s trial be moved to Harris County from Collin County, where Paxton lives, after prosecutors argued Paxton and his allies had tainted the jury pool there. Paxton’s team wrote Friday to Harris County District Clerk Chris Daniel requesting that he assign the case to a new judge. Paxton “has not and will not give” his permission for the current judge to follow the case to Harris County, Paxton’s lawyers wrote to Daniel. The letter, which was filed in court Monday, is the latest development in a standoff between Paxton’s team and Gallagher, whose spokeswoman said last week he will remain on the case. The spokeswoman, Melody McDonald Lanier, also said Gallagher does not need to rule on a motion Paxton’s lawyers made earlier this month that amounted to their initial request for a new judge. 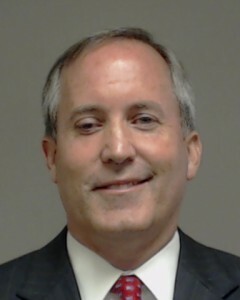 In the letter to Daniel, Paxton’s lawyers continued to cite a part of the Texas Code of Criminal Procedure that says a judge ordering a change of venue may only continue to preside over the case with the consent of both sides. Gallagher, who is from Tarrant County, has been presiding over the case since its early days in 2015. See here and here for the background. I know that the District Clerk assigns district court judges in new cases, but this is a continuation of a previous case, and it’s one where the judge was assigned from another county after the original judge recused himself. Is there anything in existing law to suggest that the District Clerk has the authority to assign a new judge after the venue was changed to the Clerk’s county? I have no idea, and based on the prior reports, this is something no one has asked for before. I’m kind of wondering why Team Paxton hasn’t gone to the 1st or 14th Courts of Appeals with this request; maybe he wants to show that he exhausted all other avenues first. Whatever the case, I have to assume the question will eventually wind up there. And I have to wonder, is this all worth it? Do they really think they’ve been screwed by Judge Gallagher so far, and that the risk of making things really awkward in his court is worth the possibility of getting a different judge, one who may not have any more tolerance for his lawyers’ tactics? Again, I have no idea. But it sure is fun to watch. The Chron has more. A new judge can’t be appointed. Paxton is not entitled to a menu of choices, and the qlast thing the legal system needs is two judges both claiming to preside over the same case. That said, everybody involved here is a political actor.